Dr. Hafer teaches eight production based undergraduate ANRS classes, as well as adult and career/technical education offerings in welding and metal fabrication. In addition to his 26+ years teaching experience, of which 19 have been with Chief Dull Knife College, Jim has authored/co-authored and participated in numerous TCU applied research and grant-based collaborative projects. A Senior Fulbright Lecturing Professor, Jim taught production based agricultural courses at Buryat State Academy of Agriculture located in Ulan Ude, Russia (Far East, Siberia). Jim has had the opportunity to participate in numerous outreach and formal teaching opportunities in 23 countries including China, Inner Mongolia, Croatia, Namibia and South Korea. Recent teaching and evaluation opportunities include USAID international development volunteer projects in Nigeria, Nepal and Bangladesh. In 2008 he completed a yearlong IPA sabbatical with the United States Department of Education’s White House Initiative on Tribal Colleges and Universities (WHITCU). 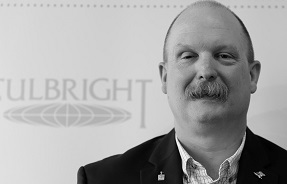 Jim is a graduate of both LEAD21 and FSLI leadership programs. He earned his teaching degrees from East Texas State University, Montana State University – Bozeman, Texas Tech and Texas A&M Universities.